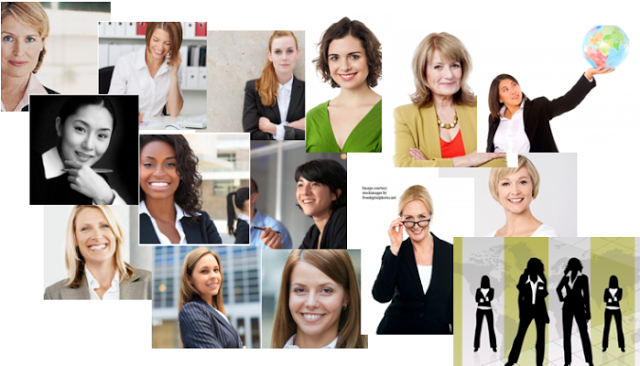 Health Keeper: What Does The World Think About Female Bosses? I recently made a search in Google for the keywords "female bosses", and to my astonishment, the search results returned a page filled with titles emancipating negative vibe for female bosses and their leadership style, for example, "do we hate female bosses? ", "Employees prefer male bosses to female", or even worse "female bosses are a nightmare" and many more. I was taken aback by the mindset that the Internet, the whole world populace, is illuminating. What are the reasons that such titles are proliferating and earning spaces over the screens? Is it just the stereotypical preconceived notion that is portraying female bosses in undeserved and somewhat demeaning fashion or is there a real loophole in women's leadership style? What is it actually which is attracting the stigma to female bosses in C-suite? Today's workplaces hold a decent combination of almost equal number of male and female employees in mid-level. That also implies that plenty of women employees are also contributing in surveys and them considering male leaders superior than the female leaders might indicate that there is something more than just a preconceived notion. Another survey conducted to rank the leaders on some leadership qualities such as communications, organizational, and listening skills reveals that women bosses score higher than their male counterparts. Then what went wrong when it comes in gaining popularity? When employees rate female bosses higher in terms of caliber then what could be the reason they prefer not to have them as their own boss? Is there anything that we can do to change the mindset or rather is there anything that we can improve upon on our leadership? What are those extra qualities of male leaders that make them distinguished and that we can learn from? The unpalatable search results made me inquisitive to find out more about what women bosses are doing differently, if not wrong, that their subordinates or colleagues are not feeling connected with. I delved inside the Internet, and asked many of my friends and colleagues about their experiences at working with a female manager. Plurality of them expressed their desire to work with their previous women boss again, however, an astounding number of participants, both male and female employees, spewed varieties of condemnations as well. They lack confidence: It is highlighted that female bosses not only display lack of confidence for themselves but also for their subordinates, especially for women employees, at work. They micromanage: In majority of cases, micromanagement portrays a picture of manager distrusting its employees. It makes the employees suffocated and makes them cast doubt on their own merit. They sometimes indulge in gossips: Employees also stressed that they have observed their female bosses falling for gossips on many occasions. They also conveyed that they find such conduct immature, unauthentic, and inferior. They are seldom emotionally balanced: Many of employees revealed that they had rarely found a female manager who was balanced emotionally and most of them were either authoritative and strict or too friendly and biased. Female bosses were blamed to be only at either end of the emotional distance spectrum. They shiver when it comes to make hard decisions: Female managers tend to be more indecisive compared to male managers when a decision such as firing an employee or choosing one over the other has to be taken. They cannot work without mentorship: Female leaders lack in independent decision making ability. They constantly seek guidance and advice from their mentor(s). It makes female managers look less confident. These were the comments drawn forth during the research. Here stands a good opportunity for us to consider these opinions "areas of improvements" so we can plan and act to redress these gaps. It is true that those criticisms hold true for male managers also, but now that these have been attributed to female managers too, let's work together to improve upon it. The confidence in your body language will radiate the most when you are just yourself. Stand firm when you think you are right and be legend enough to admit your own mistake when you are wrong. When you are comfortable with yourself, you inherently make a connection with the mass. When it happens, other women employees will relate to you and look up to you. One of the most desirable qualities of a leader is to make others empowered and self-sufficient. Your fellow women employees consider you their role model. Fortify their trust in you and secure them with your support and guidance. Ensure that they are heard and compensated appropriately. The best way to instill confidence in others is to disseminate from your within. Provide your peers something to emulate you. First set an example and let them follow you. A culture can be reinforced not enforced. Being a people manager means that you should start investing your time with your employees to get to know their personal background, hidden talents, strength, weakness, constraints, and obligations. If you know their other side of life, non-professional, it would be easier for you to help them with their career path, connect with them, and understand them better. There could be many organizational events which could allow you to be familiar with these trivia. Focus more on cultivating an environment which is approachable, cooperative, and supportive rather than just competitive. Never let your employees get an impression that you underestimate their competences. Micromanagement helps to nurture that atmosphere. So get rid of that and instead learn the art of delegation. Let your employees find the way how to conclude a task because that's how they learn. Assign one mentor to them, if needed. Keeping a tab on every move of your employee will strengthen a feeling of cynicism among them. Your objective should be to empower them not micromanage them. Stay away from any act which seems demeaning and belittling. And gossip is one of those. First, it makes you look unsophisticated and second, your employees picture you as untrustworthy because if you are doing it for one you could do it for others too. Disentangle yourself from these negative traits as it does no good to your character and self. It is a fact that women leaders tend to be more emotional than rational, and this predilection is attributed to their innate characteristics. They easily get worried about entailing any negative repercussions, intentionally or unintentionally, to the employees. The decisions such as firing an employee or being evenhanded in appraisals could seem callous and cause a sleepless night to a female boss, whereas, a male manager would comparatively appear more complacent in such moments. While dealing with such scenarios, you should not forget your role in the organization. For instance, before firing odd employees, analyze how to utilize them in any other vertical or team, and if you don't find any room for them then you need to remind yourself that you are a manager first and you need to do what is good for the organization. Nonetheless, you can always ensure that your decisions do not inflict an employee to take an unceremonious exit. It is definitely a hard choice, but your rationality and toughness at the moment will be fruitful not only for you, but also for your organization as well as that employee in the long run. You must be hard in decisions yet soft in approach. In a haste to be heard and obeyed, women leaders grab either one side of spectrum of sociability. At one side, when they are friendly and submissive, they bolster an environment of fun, excitement and zeal. Employees working under such leadership feel that they are heard and their leader is concerned about their dreams and career path. However, this persona brings its own disadvantages. Sometimes, it fails to create a line between friendliness and professionalism. On other side of spectrum, when women leaders become strict, they promote a dreaded and stressed environment. Although they get the work done, but in the long haul, the bond between the leader and the employees would dwindle and gradually the subordinates would prefer to leave the project or workplace for good. That's why you should be discreet with the personality you are reflecting to your employees. Being inherently caring and concerned nature, women employers and bosses sometimes get in a phase where they want to make the working atmosphere heaven for their employees. Well, first you need to understand that "you cannot make happy everybody at the same time". This also implies that you, like everyone else, have got your limits too. At times no matter what you do, your employees will never be satiated and will keep demanding more and more. You have the bigger picture of the organization. You better know what you can do for them and what cannot. Do not go beyond your frontier and never ever regret about it. You need to get a middle ground between the employee's concerns and organization's capabilities. After a limit, you might need to spend time in candid conversation with your employees to remind them that their concerns are well considered and addressed and that they have to reciprocate with their work, productivity, and innovations. Everyone needs a mentor in their life to learn the tactics of a particular arena, but after a certain period you should be self-sufficient and independent. Keep a self-check that you are not falling into a pattern of constantly seeking mentorship. Trust your intuitions, have confidence and learn from experiences. Be a catalyst in changing the mindset of people towards women leaders and their leadership style. Days are not far when search results will reverberate positive headlines. We are already good, let's strive to be better!